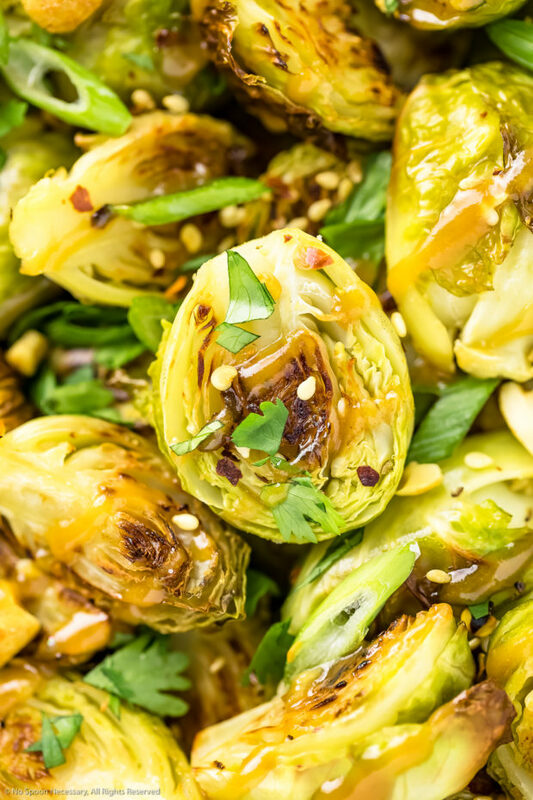 This Roasted Asian Brussel Sprouts Recipe is packed with flavor and highly addictive! Tender, crispy and drizzled with a silky, sweet peanut based sauce, these sprouts are savory, sweet and spicy. 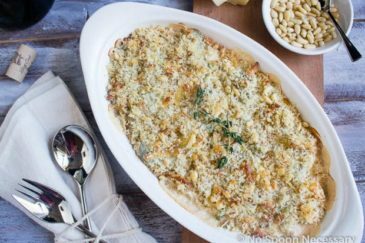 They make an insanely delicious side, or can be served as the ultimate vegetarian appetizer! This post was originally published in March 2018. I’ve updated the post below to include more information about this brussel sprouts recipe. Plus, I added a recipe video to show you how easy these Asian style sprouts are to make! I have got a question for you today – brussels sprouts – yay or nay? I am team yaaaay. All day, every day and twice on Sundays, SO MUCH YAY! But, truth be told, I didn’t grow up eating brussels sprouts, and before I attended culinary school I was convinced I hated them. So, if you are one of those people who thinks they hate brussels sprouts, let me just say these sprouts I’m sharing today aren’t your grandmother’s, mother’s, or whomever’s, plain ‘ole run of the mill mushy sprouts that smell like socks. 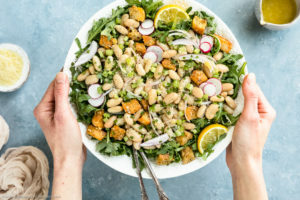 These sprouts are blow your mind type of delicious and will totally make you a member of team “yay”! 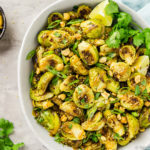 Tender, caramelized, slightly smoky and sweet roasted brussels sprouts dusted with nutty sesame seeds and spicy red peppers and sprinkled with salty peanuts, herbaceous cilantro and fresh scallions. 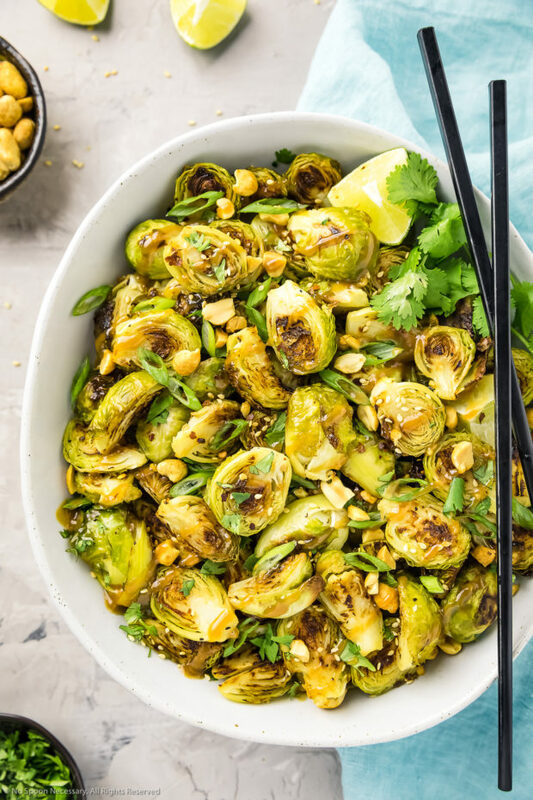 Drizzled, or tossed with a creamy, silky, umami packed, peanut butter based sauce, these Asian style brussel sprouts are crazy addictive. 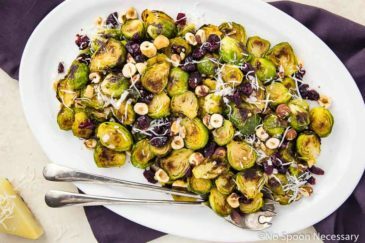 These sprouts are flavor packed and utterly delicious! 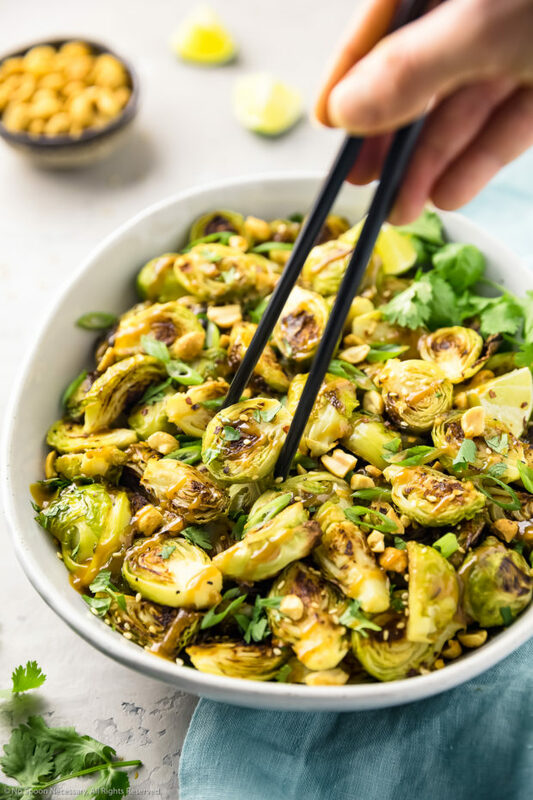 While they make a stellar side or a fantastic vegetarian appetizer, I’d be lying if I said I haven’t eaten a ginormous bowl full of these Asian Brussels Sprouts and called it dinner! Legit, these roasted sprouts are THAT good. What do roasted brussels sprouts taste like? In one word – HEAVEN. 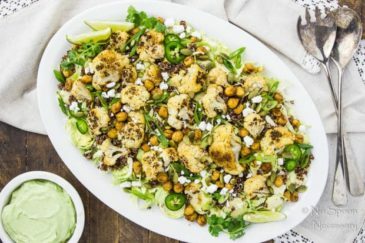 Most people either love or hate brussels sprouts, but truth be told, if you are one of the unfortunate ones who hate them, it’s probably because you have been a victim of poorly prepared and cooked brussels sprouts. While steamed, boiled or microwaved brussels sprouts can taste like bitter mush (and smell like a dirty gym clothes), roasted brussels sprouts pack TONS of caramelized flavor. 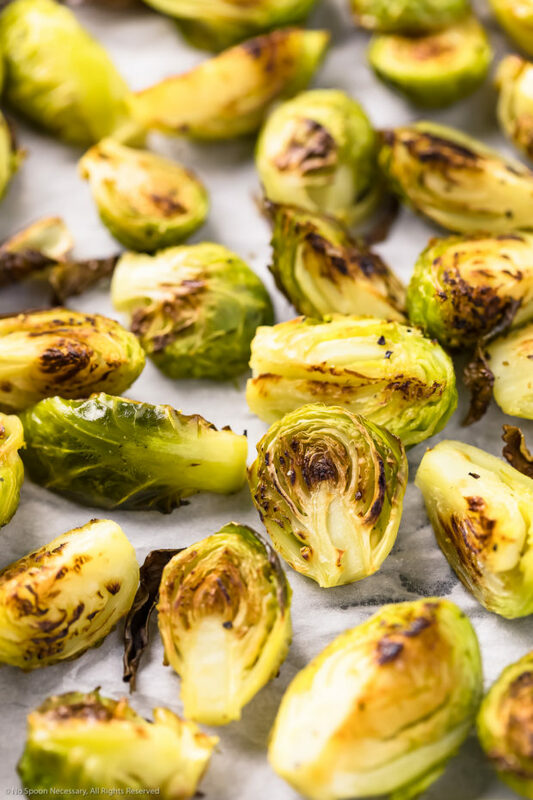 Roasting brussels sprouts in the oven takes advantage of their natural sugar content and produces sprouts that are crispy on the outside and tender on the inside. Once roasted, brussels sprouts have a savory, nutty flavor. What goes with Asian brussel sprouts? Crispy Asian brussel sprouts are a delicious addition to any meal, or they make a terrific stand alone appetizer! Since these roasted brussels sprouts are Asian in flavor, if you are looking to serve them as a side, I suggest pairing them with either a plain protein to elevate the flavor profile of your meal, or serving them with a similarly Asian flavored main. These sprouts would be a delicious addition to these hoisin bowls or this teriyaki chicken! When purchasing your brussels sprouts, look for sprouts that are close in size. If you have to purchase brussels sprouts that greatly vary in size, make sure you halve or quarter them depending on how large they are. You want to prep them to be roughly the same size for even roasting. If you don’t have a small food processor, you can easily make the peanut sauce by whisking the ingredients together in a small bowl. Just make sure to mince the garlic and whisk everything together well! If you are having a tough time whisking it by hand, microwave the sauce for 15-20 seconds to make it easier to mix together. 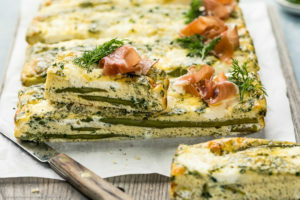 Always taste and adjust recipes to your own liking! This definitely applies to the peanut sauce. Make sure you taste it and adjust it for seasoning and consistency. Add more honey for sweetness, more lime juice for sourness, and more sriracha for spice! If you want a thinner sauce, add in more water, one tablespoon at a time, until desired consistency is achieved. If you make the peanut sauce in advance, make sure you store it covered in the refrigerator. The cold temperature will cause the sauce to thicken, so simply whisk in a bit of water to loosen it up when ready to use. Easy to make and even easier to devour, these Roasted Asian Brussels Sprouts BELONG in your life. Trust me. Until next week, friends, cheers – to stellar sprouts. 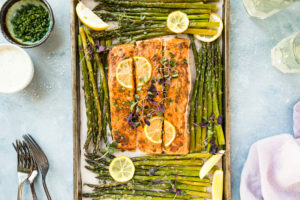 Preheat oven to 400 degrees F. Line a large, rimmed baking sheet with parchment paper, or aluminum foil, for easy clean up. 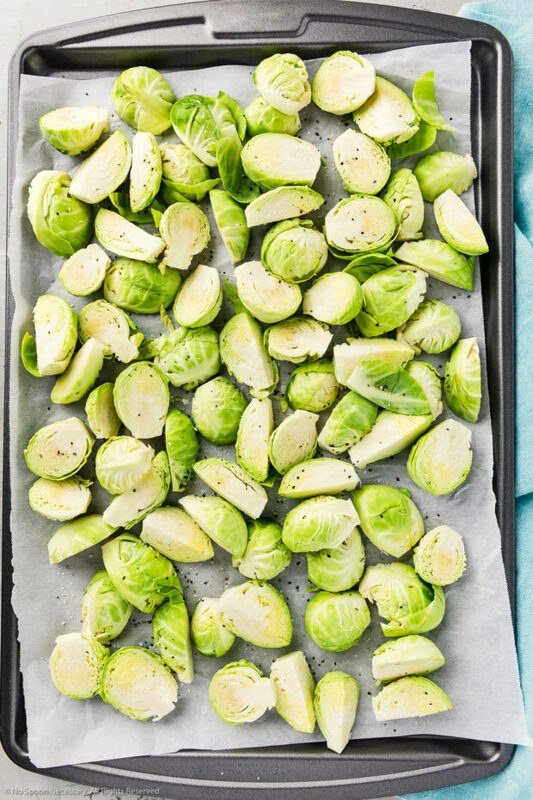 Season brussels sprouts: Add the brussels sprouts to the prepared baking sheet and toss them with olive oil. Season generously with salt and pepper. Arrange the sprouts in an even layer, with the flat sides down. Roast the brussels sprouts in the oven, tossing them halfway through cooking, for about 30-40 minutes, or until they are tender and caramelized. Assemble: Transfer the roasted brussels sprouts to a serving bowl. Pour on ½ of the sauce and toss well to coat. Top with green onions, cilantro, peanuts, red pepper flakes and sesame seeds. Drizzle with the remaining sauce and serve. Enjoy! If you don't have a small food processor, you can easily make the peanut sauce by whisking the ingredients together in a small bowl. Just make sure to mince the garlic and whisk everything together well! If you are having a tough time whisking it by hand, microwave the sauce for 15-20 seconds to make it easier to mix together. I remember these little beauties! SO much flavor! Great video too Chey! Shared! I didn’t grow up eating Brussels either and the first time I had one I was like I HAVE SO BEEN MISSING OUT! They’re easily one of my favorite veggies now and I’m definitely going to try your Asian version! Holy YUM! I make a version of Kung Pao Brussels sprouts that we love so I am all over this! Awesome tips too – thank you my friend! I love what youve done here Cheyanne! 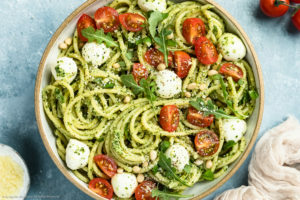 Im always so boring and boil or roast my veg with a little salt or olive oil (motly because Im always pressed for time) but I need to get into the habit of being a little bit more experimentative because I know it can simply (as youve demonstrated here) transform a dish! So delicious! I love that you ate a bowl full of brussels sprouts for dinner!! 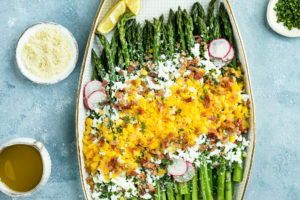 These look so good – and love your tips!! Oh, my goodness…I’m in complete heaven. And the peanut sauce????! I definitely need these! Certainly, I’m in the “Yay!” team. 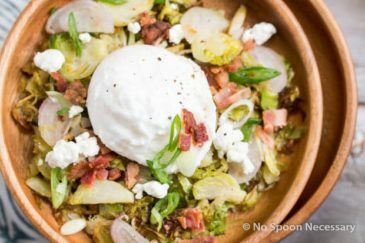 Brussels sprouts are so amazingly delicious and versatile. Indeed, besides naan pizza, you can be proud of introducing shredded brussels sprouts to me as well! Love this creation. 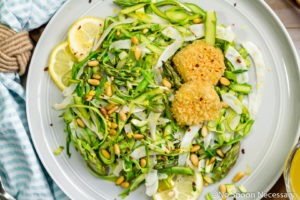 I’ve never tried peanuts/butter with sprouts, but this looks and sounds delicious! I am firmly in the brussels sprouts YES camp. I love them roasted, shredded, sautéed – they are all good. But I LOVE this version – I never thought of tossing them with peanut sauce but I bet it’s awesome! Pinning and trying soon! I am team YAY Chey! And I’m always looking for new ways to serve them! Never thought of an Asian spin, so I will definitely be giving your recipe a go! I love the sweet and spicy flavors! Pinning and I’ll let you know how much we loved them! Beautiful dish and love the Asian flavour! I’m not the biggest fan of Brussels sprouts, but I make them for holidays, since everyone but me loves them, so nice to have another way to do them! One of my favourite veggies! Love that peanut sauce too.